Human rights activists have always told stories in an unnervingly light-hearted manner about their experiences: the time an activist was almost kidnapped when investigating an execution, or answering too graphically when her friends ask what she has been working on. There’s laughter about being jumpy—startling when a car backfires on vacation—or imagining that torture is occurring behind a neighbor’s door when a child’s cry is overheard. Often these stories are told over drinks, late at night, on long drives, and they sometimes shade into serious conversation. Advocates swap stories about their experiences being threatened or detained, their inability to stop thinking about the images in graphic videos of executions, or re-hearing the voices of survivors telling their stories. What is frequently left unsaid in these discussions is that trauma—direct and indirect, personal and vicarious—has a real, serious, and lasting impact on the lives of human rights advocates. We could find research on humanitarian workers, journalists, and social workers that documented depression, burnout, and secondary stress and trauma at high rates. Nothing comparable existed for human rights advocates. I am relieved to be part of a growing community of advocates and researchers who have begun to think seriously about these issues. As a scholar, I am part of a research team working to better understand what has been, to date, largely anecdotal information about burnout, vicarious trauma, and depression among human rights advocates. When we began our work together several years ago, Sarah Knuckey, Adam Brown, and I could not find much information about secondary trauma among human rights advocates. We knew that some human rights organizations were beginning to address the issues, and that activists in some places had been using a variety of self-care techniques for some time. We located a fantastic resource: What’s the Point of Revolution if We Can’t Dance?, a pioneering exposé and resource written by feminist human rights activists Jane Barry and Jelena Dordevic that presents the stories and wisdom of activists from many parts of the world. In the psychology literature, we found a study of human rights workers in Kosovo that described the impact of human rights work among staff collecting human rights data. But what was missing was a scientific evidence base to ground efforts to respond to concerns about well-being among human rights advocates. We could find research on humanitarian workers, journalists, and social workers that documented depression, burnout, and secondary stress and trauma at unsettlingly high rates. But nothing comparable existed for human rights advocates. We decided to take a step toward creating an evidence base, documenting how human rights advocates are doing. "We must bring these discussions out of the shadows and embrace them for what they are: an acknowledgement of the complex perils—and deep joys—of human rights work." The first step in this work consisted of an online survey of human rights advocates. In all, 346 people based in dozens of countries took the survey. We adapted standardized checklists and multiple-choice questions used by psychologists to investigate exposure to trauma, experience of burnout and stress, and to identify post-traumatic stress disorder (PTSD). We also asked about cognitive styles—the tendency to think certain ways about experiences—which have been found to be linked to vulnerabilities for secondary trauma and burnout. Finally, we examined resilience—the ability to adapt, bounce back, and gain strength from our work. The survey was voluntary and was not designed to collect randomized or statistically representative data, so the sample is no doubt biased in known and unknown ways. However, we believe that our study is a useful step toward creating an evidence base for work to enhance the well-being of human rights advocates. What we found was striking: among the human rights advocates who took our survey, 19% appeared to have PTSD, 19% had significant symptoms associated with PTSD, 15% seemed to be experiencing depression, and 19% reported burnout. These rates are comparable to rates found among first responders and even combat veterans. The advocates were often exposed to secondary and primary trauma through interviewing survivors and witnesses (89%), visiting sites of violations (63%), and witnessing violence (34%) or grave deprivations of basic needs (79%). A full 20% had been threatened with being beaten, taken hostage, or detained in connection with their human rights work, and 20% had actually experienced one or more of these abuses. 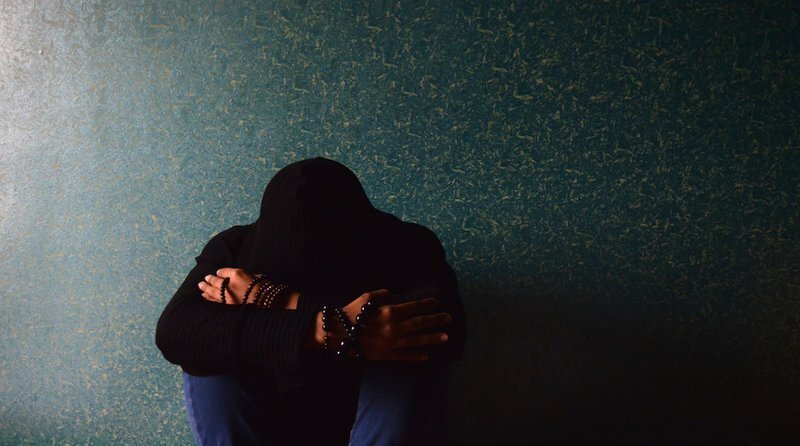 Participants who were exposed to trauma in the course of their human rights work, who displayed perfectionism, or who had negative opinions about human rights work, appeared to suffer more severe PTSD. Perfectionists and those who viewed their efforts to be ineffective exhibited more severe depression. However, survey responses also suggested high levels of resilience: 43% of responders reported minimal symptoms of PTSD. Yet advocates also reported that they were not prepared for the health effects of their work: 71% said that they had received no or only minimal preparation for the emotional toll of human rights work, and 75% said their organization provided no or minimal support for dealing with such effects. These results raise as many questions as they answer, so we are continuing the work by partnering with human rights organizations to better understand the dynamics at play and what resources are needed to address these issues. Our research is one part of a growing number of important initiatives to study and respond to trauma in the human rights field. The Eyewitness Media Hub published an important report on the impact of eyewitness media on human rights researchers and journalists. Alice Nah and her colleagues at the York University Center for Applied Human Rights, using a critical approach to security and protection, have begun to publish the results of a study that included a focus on well-being among activists. Those working on protection for human rights defenders are embracing holistic security, including a focus on well-being. Most importantly, activists are increasingly speaking with each other about their experiences and strategies. Human rights activists the world over—especially those who face oppression, discrimination, and security threats each day—have long engaged in self-care and collective well-being strategies closely tied to their social change objectives. These strategies include adopting integrated security approaches, transformative leadership styles, and trauma-informed practices. There is much to learn from what already exists, and we hope to contribute to the work underway by systematically documenting and better understanding promising responses. But there is much work still to be done: responses at the personal, organizational, and movement levels are needed. To develop such responses, we must first bring these discussions out of the shadows and embrace them for what they are: an acknowledgement of the complex perils—and deep joys—of human rights work.